NewVoiceMedia, a leading global provider of cloud contact centre and inside sales solutions, announced that web-based medical records company WebPT is reporting an improved experience for its customers and sales and service agents using the NVM Platform. Based in Phoenix and founded in 2008, WebPT provides a web-based medical record system for physical therapists. The organization aims to offer a high-touch service, and new customers work with an onboarding team for two-to-six weeks during their product implementation process. For ongoing service, WebPT’s customers may need to speak with several different representatives at different times throughout the sales cycle, as they access the sales, onboarding and support teams. WebPT was experiencing challenges with its legacy telephony system, including a call routing structure that resulted in long customer wait times, and the limited ability of managers to monitor the sales and service teams’ performance. Lack of integration between WebPT’s CRM platform and its telephone system made it difficult for agents to provide a personalized service to customers across the entire customer journey. In 2015, WebPT went through an extensive search and selection process before partnering with NewVoiceMedia. The decision drivers for WebPT were the NVM Platform’s cloud architecture and its integration with Salesforce Sales Cloud and Service Cloud. The NVM Platform has helped WebPT to enhance agent coaching and performance management; interaction assistance; and visibility of customer interactions to provide a more personalized customer experience. Additionally, since implementing NewVoiceMedia, WebPT can complete random QA checks and listen to any specific call. “The system is working well”, says Jessica Diminio, WebPT Operational Excellence Manager. “It has provided us with deeper insights, simplifying the day-to-day management of the team’s schedule and reducing administrative tasks so reps can spend more time on the phone. It’s also been a huge win for our support department. Managers can now review calls and work closely with their teams to develop improved techniques”. 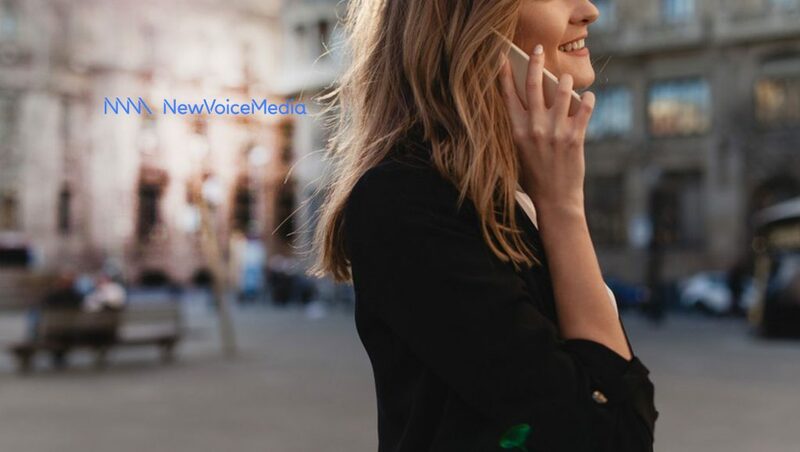 Chris Haggis, SVP Customer Success at NewVoiceMedia, adds, “We’re pleased to see WebPT has experienced such incredible success with the NVM Platform. NewVoiceMedia’s cloud infrastructure was a perfect match for the organization. It has improved the stability of WebPT’s contact centre, allowing its sales and service teams to be more efficient and proficient while providing an exceptional customer experience. We look forward to supporting the organization as it continues expanding its business”.